The Handmade Knit Collection is one of a kind. 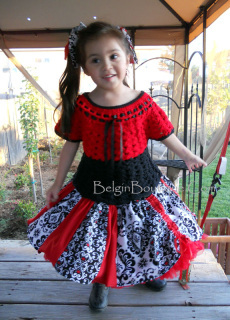 Each design is unique; your daughter will have a unique and original design. Dress is hand-knit crochet in a beautiful shade of turquoise! It closes on the front with a lace up style! 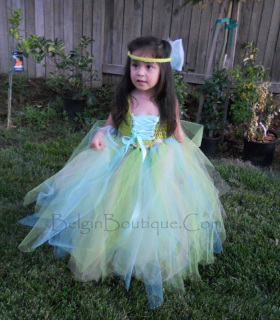 The dress comes with a matching headband and is perfect to wear all year round. The Handmade Knit Collection is one of a kind. Each design is unique; your daughter will have a unique and original design. The top is made from a beautiful gold and white color combination and is adorned with a white hand-knit rose on front. 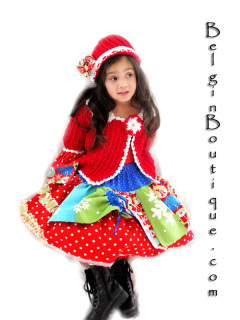 The mini skirt is also made from gold and white knits and comes with knit lace on the waistline to adjust to the waist of your little princess. The matching hat is included. The Handmade Knit Collection is one of a kind. Each design is unique; your daughter will have a unique and original design. The top is crochet knit in a beautiful combination of red and black with a satin lace on front. The skirt is made in patchwork style from three different fabric patterns. The Handmade Knit Collection is one of a kind. Each design is unique; your daughter will have a unique and original design. 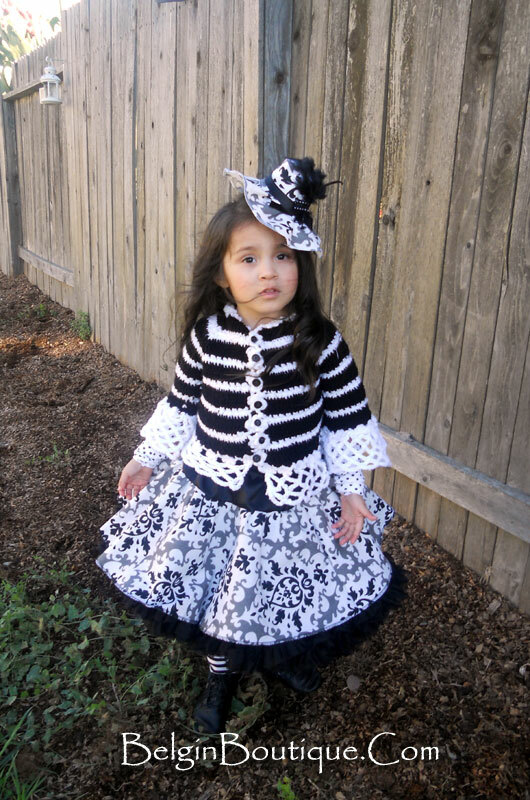 The jacket is made from white and black crochet knit and closes on front with buttons. The skirt is made from a damask fabric in grey, black, and white with an elastic waistline. The set comes with a little French hat. The Handmade Knit Collection is one of a kind. Each design is unique; your daughter will have a unique and original design. The crop jacket is made from orange and brown crochet knit and closes in front with buttons. It is also adorned with a rose hand made from matching fabric. 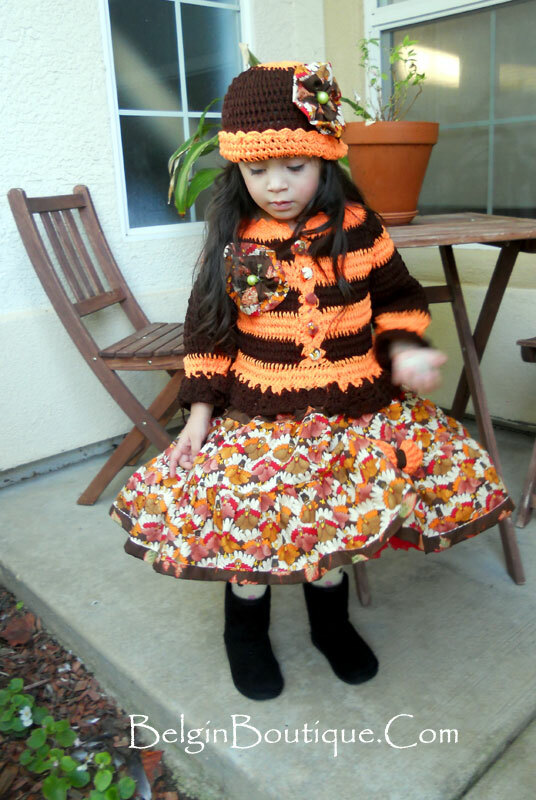 The skirt is made from turkey pattern fabric. The set comes with a hand-knit hat. The Handmade Knit Collection is one of a kind. Each design is unique; your daughter will have a unique and original design. The jacket is made from red and white crochet knit and closes on front with a little crochet rose. The cuffs of the jacket sleeves are made with two X-mas pattern fabrics. The skirt is made from different X-mas pattern fabrics and colors. I added a lot of little details! The set comes with a knit hat. The top is crochet knit in lime green and adorned with a satin lace up front. The skirt is made from a combination of three different colored tulle fabrics. Absolutely adorable! 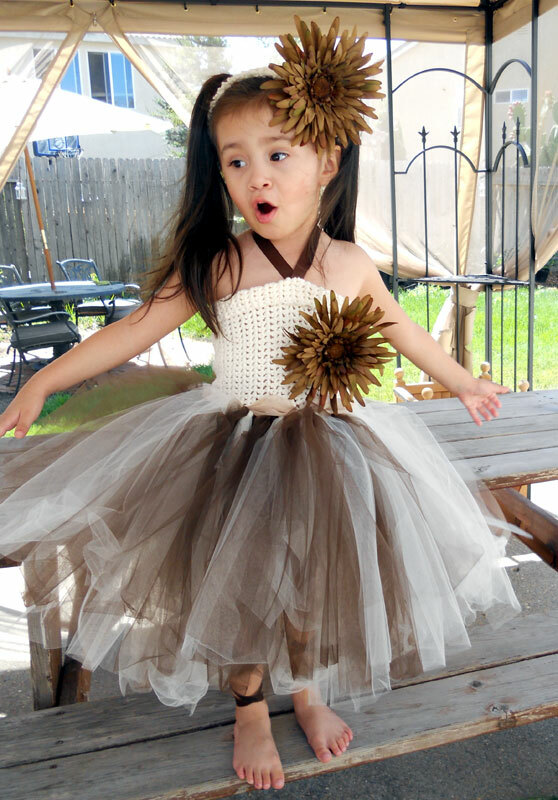 The set comes with a crochet headband with a tulle flower on back. The top is crochet knit in ecru color and adorned with a satin pin flower on front. It closes with a lace up on the backside. The skirt is made from a combination of two different colors of tulle. The set comes with a crochet headband with a big satin flower. The flower could vary in color and style.